Making additions to any metropolitan Sydney home is a major project that need serious planning to ensure proper execution, resulting in the best outcomes. The process can be cumbersome especially for first-time homeowners who haven’t done major home renovations or remodelling in the past. Precision Planning can assist in finding design solutions to common problems that homeowners typically encounter with Sydney home renovations and extensions in mind. Home Additions in Sydney- What is the perfect design for you home? Your decision to get that first floor (or 2d storey) addition for your home may have been inspired by your vision to create uniquely aesthetic and functional spaces for you and your loved ones. Your design ideas, including material recommendations and interior design inspirations will only be crystallised once all plans, design drawings, and perspectives are translated into paper. Whether in the Inner West, Hornsby Shire, Willoughby or Northern Beaches – Precision Planning provides building design and development application services to all of the Sydney based Councils; extending even to regional New South Wales! Partnering with building consultants is helpful in that you get more inspired when planning the final draft design for your Sydney home extensions project. What are the requirements for home extensions in Sydney? 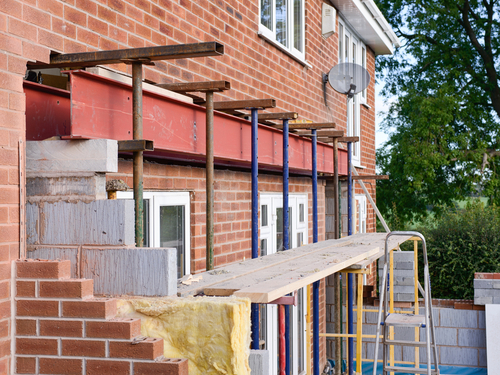 There is a list of requirements that you need to fulfil before a first floor addition or home extensions project can be initiated. Besides a design plan, you also need to understand the process of building the additional structures to (or on!) your home. Furthermore, homeowners also need to consider the budget, building applications/permits, and prevailing legislation that need to be followed for all home additions and home extensions for Sydney residential properties. Homeowners will need the assistance of planning and development consultants to make their Sydney home additions project a reality. Partnering with a company who has an in-depth understanding of planning legislations, expertise in the production of CAD 3D models and perspectives, and also a positive reputation in the residential construction industry will make any home renovation project a breeze. Share your thoughts and ideas for your upcoming home extensions project with us! We will be more than happy to assist you throughout the entire process with utmost respect for your budget and time. We will be there for you from start to finish! Call Daniel on 0416 110 281 to make an appointment or check out our extensive portfolio.